I DVR’s the show but to no avail as the commercials drew me in as well. They were sleek, action pact and truly knew the target market they were reaching. It became an experience that I couldn’t take a bathroom break in between. This is similar to the experience which many feel during the “Superbowl” where sometimes they ads can even be more entertaining then the action on the field (Superbowl blowouts). 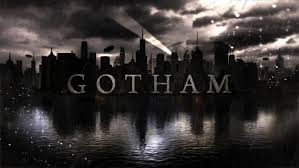 There is a certain art that is created when the Ad’s truly match the action on the screen and “Gotham” was able to create that art and in turn become my Monday night event. Thank you I’ve been blogging all my life but until a few years ago it was just in my head.